Micron Technology Inc. announced the launch of the first V100 pico projector engine with compact size and high image quality for consumer video and mobile application markets. V100 adopts Micron's innovative hexagonal pixel multiplication technology (HPX) to achieve the best efficiency of video input signals, meet the needs of microdisplays, and open infinite possibilities for pico projectors and new usage modes. Mobile devices have become the mainstream of current consumer electronics products, and their functions have also been continuously innovating and integrating to meet consumer demand. The miniature projection function is one of them. According to the forecast of Display Search 2010 handheld projector technology and market, the projected annual compound growth rate (CAGR) of mobile embedded pico projection market revenue from 2013 to 2014 will reach 134%. It is estimated that the overall mini-display market will be reached by 2014. The revenue will exceed US$1.1 billion, showing the strong potential of this market. Among all the micro-projection technologies, LCOS technology provides a perfect trade-off between cost and performance. It has recently been regarded as the most competitive technology in the miniature projection market, and the annual compound growth of market revenue between 2010 and 2014. The rate estimate can also reach 78%. Mike Zeigler, general manager of Micron's microdisplay division, said that the micro-projection technology is currently in the process of integration in handheld devices. Once the cost and performance fully meet the market, it is expected that applications such as consumer electronics and mobile phones will take off quickly and become widespread. The increase in the design and innovation capabilities of Taiwanese and Chinese manufacturers, and the acceleration of mass-produced manufacturing to promote new products to market, is an important driving force for the rapid development of the handheld miniature projection market. Zeigler pointed out that the microdisplay market is an important part of Micron's product strategy. Through the introduction of differentiated products, Micron further extends its expertise in research and design in the semiconductor field. 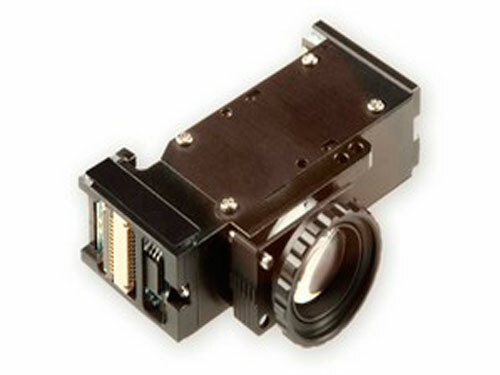 Micron's unique miniature projection technology FLCOS is based on long-term CMOS manufacturing experience, so it can integrate clear image processing and built-in memory functions. Micron is optimistic about the development of this technology market, and actively uses its own technology and manufacturing expertise to create miniature projection solutions such as mobile phones, digital cameras, DVD players, and toys that have the advantages of specific product and cost and video performance. New applications. The V100 Pico Projector Engine's FLCOS Mini Display Panel covers all the necessary image processing, eliminating the need for additional processors and thus providing energy and cost advantages. Micron's innovative HPX technology provides more detailed and smooth diagonal lines for video scanning, and the video resolution is about 20% higher than that of the traditional square pixels (p-pixel-per-inch). In addition, the V100 has five true-color lumens that maintain color clarity and brightness, resulting in better video output usage than traditional white projectors and a projection brightness that is approximately three times that of a regular five-color filter projector. Ã˜ Main applications: Dynamic video-level pico projectors, including consumer electronics applications such as handheld devices, portable media players and cameras.